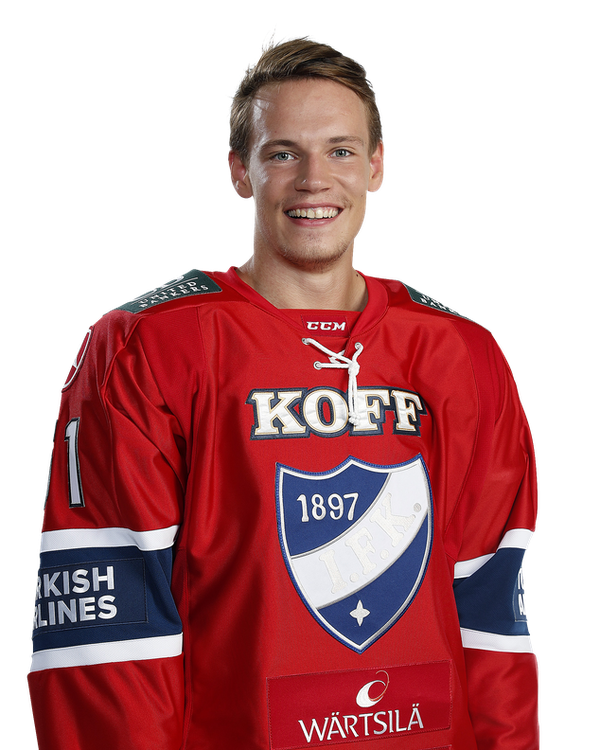 Jääskä had a decent game in what overall was a lackluster performance from HIFK. He scored a shorthanded goal late in the game, picking up a nice pass from Oliwer Kaski in front of the net for an easy goal. However, he wasn’t able to create a whole lot of offense and occasionally had trouble to process the game quickly enough under pressure. He did make a good, heads up pass to the front of the net to create a scoring chance in the first period. He used his stick rather well and played an energetic, fast paced game, but he did take a tripping penalty in the first period. He is a strong skater with very good edge work, good acceleration and agility. He has improved greatly in this area over the past few seasons. Jääskä is already receiving ice-time on the penalty killing with the men’s team. A versatile prospect with good smarts and skills, he is an overager to keep an eye on for the 2018 NHL Draft.